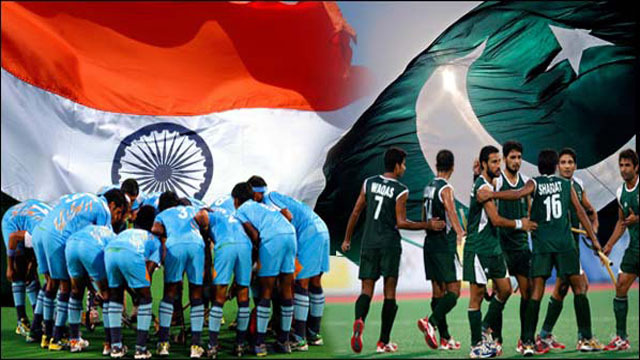 Indo -Pak Rivalry set to light up each competition between both teams. The two teams squared off most recently at last year’s Asia Cup in Bangladesh where India claimed the honours. But in Commonwealth Games 2018 India Men’s hockey team campaign began much same as the women with some disappointing results. India was held to a 2-2 draw by arch-rivals Pakistan in the Men’s Hockey match on Saturday. Commonwealth India Vs Pakistan Hockey Match was of great interest. In the first two quarters India was in a dominant position by holding two goals at half time. But in the second half, Pakistan Came back into the match and put India under tremendous pressure in the second half and Mohammed Irfan Jr reduced the arrears with a 38th – minute field goal after few seconds PR Sreejesh produced some brilliant saves to keep India’s one-goal lead intact. with just seconds left there was high drama. with 7 seconds left, Pakistan earning themselves a penalty corner and again benefited in the dying moments with yet another referral. Mubashar Ali scores from the penalty corner for Pakistan, leaving the Indian team shell-shocked and the old fears turned out to be true. The Indians ended up conceding one to let slip what should have been a comfortable win. It was really surprising not only for Men Hockey Team but also for the Hockey Lovers. At the end Match declared draw due to controversial decision,otherwise Indian Team’s victory was confirmed.